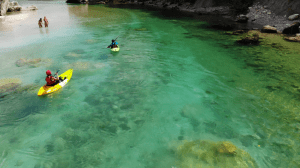 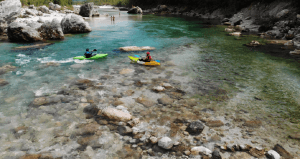 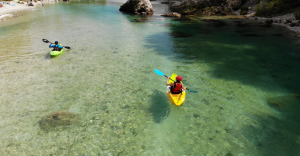 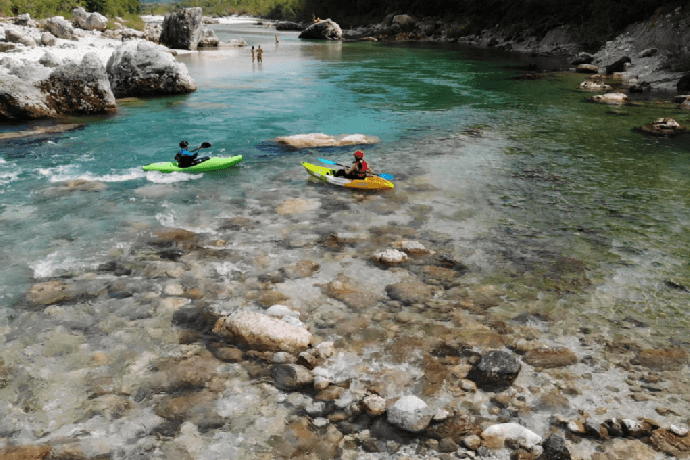 Kayaking on Soča is one of the most popular activities in the area. 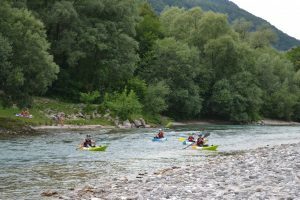 The river can be quite demanding on some places, difficulty level I to V, therefore suitable for beginners as well as advanced kayakers. 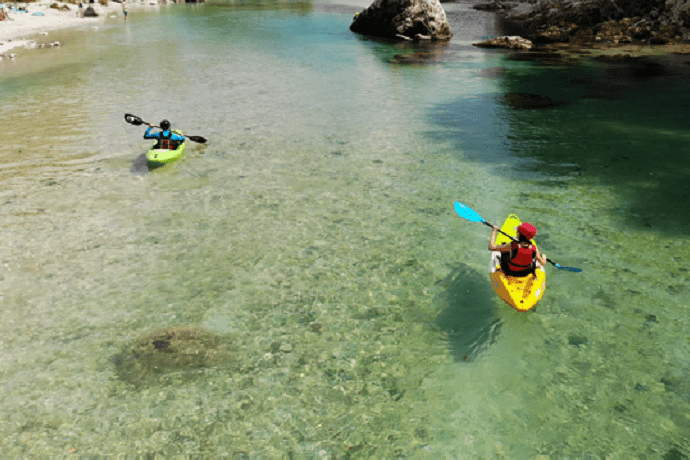 We also offer sit-on-top kayaking experience for everybody. 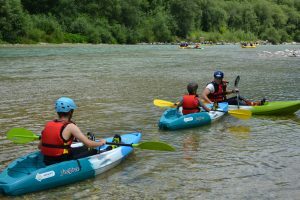 The difficulty is chosen based on your pre-knowledge and experience. 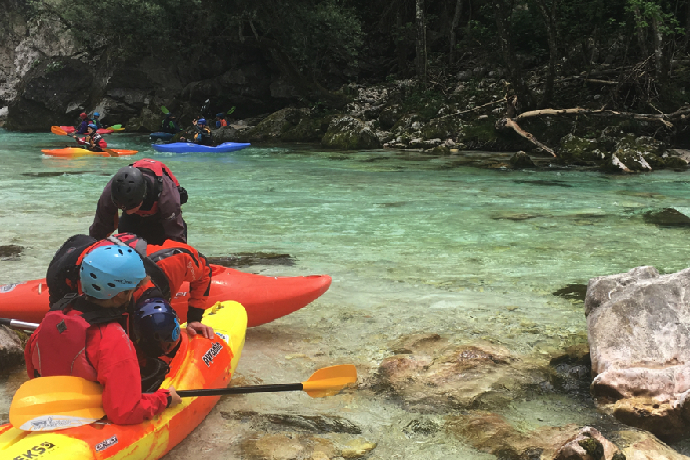 Sit-on-top kayaking is a fun and safe activity for families and individuals, looking for primary river contact.